Many vaccines are available for use in dogs and cats, but not every pet needs every available vaccine. Some vaccines are considered core vaccines and should be administered to all pets, whereas other vaccines are optional and may be recommended for pets based on a variety of factors, such as their risk for exposure to disease. Vaccine recommendations can also change throughout a pet's life, as travel habits and other variables change. We will consider all these factors as we determine which vaccines your pet should have. We follow AAHA and AAFP vaccines guidelines, which are updated and re-evaluated yearly. Follow the to learn more about canine and feline vaccine guidelines. We understand that your pet is unique and that no single vaccine program will be ideal for every pet in every situation. Our doctors and other health care team members are well-educated about veterinary vaccines, and our goal is to give you the best advice for keeping your pet healthy. Let us develop a vaccination schedule and ongoing booster routine that accounts for your pet's lifestyle, overall health, risk for exposure to infectious disease, and other factors. Rabies vaccines are required in all dogs by Michigan Law and very highly recommended in cats. Follow this link to learn about the rabies protocol we follow in Michigan. FACT: the animal most often found positive for rabies is bats. Look at this map to see what kinds of animals in your county were most recently found positive for rabies. 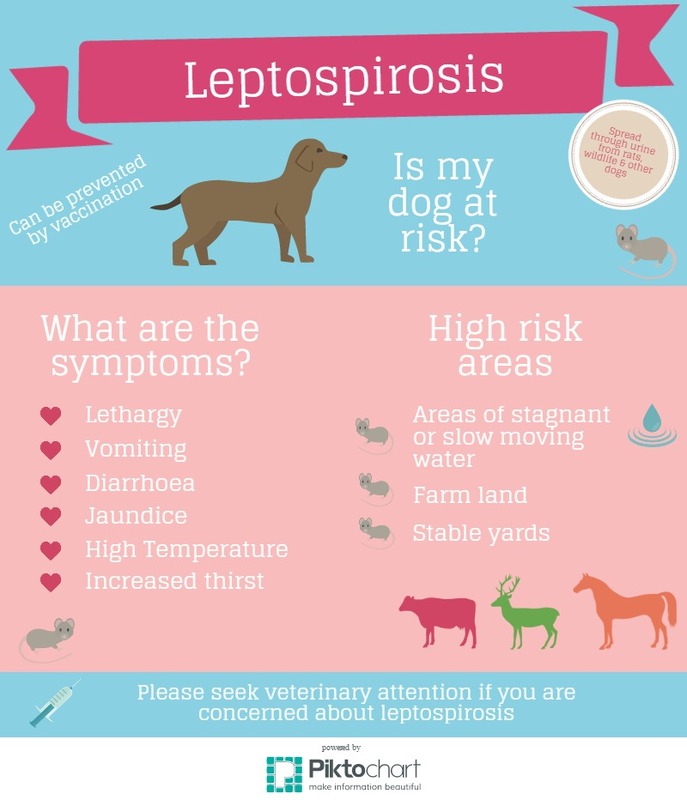 Did you know... that Leptospirosis is always fatal without treatment and has an 80% survival rate with treatment? It is passed in the urine of small rodents and raccoons, causes liver and kidney failure and can be transmitted to humans! Luckily, the vaccine is 100% effective! Nervous about your dog getting the vaccine? Speak with a Red Cedar Animal Hospital, PC staff member about precautions today! Read more about it here the latest issue of fetch! magazine.